During the first action at 7 a.m., six children and eight adults, all dressed as angels, performed a mock funeral to demonstrate the gruesome “double tap”, a procedure used by the military to use drone strikes to attack family members during a funeral procession for a previous drone victim. 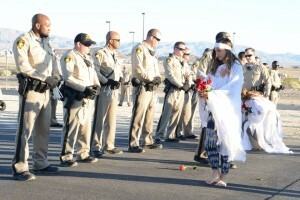 A young ballerina led the procession, laying red roses in the road. 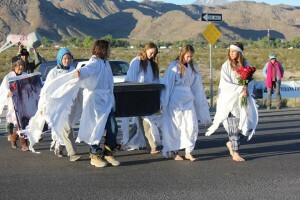 She was followed by other children, who carried a casket into a restricted area at the main gate. 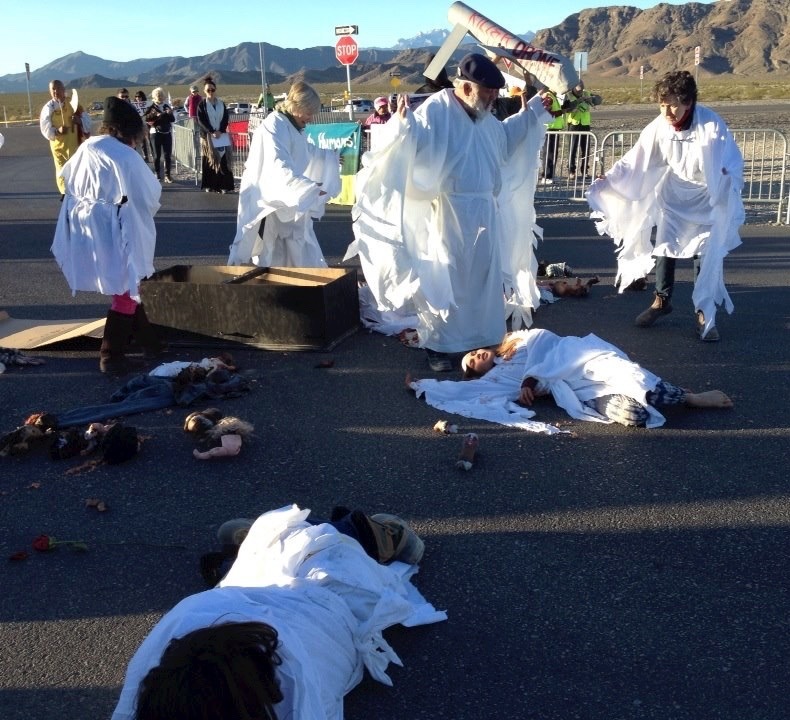 The group re-enacted a drone strike, spilling baby doll and adult mannequin body parts onto the road. None of the children were arrested. 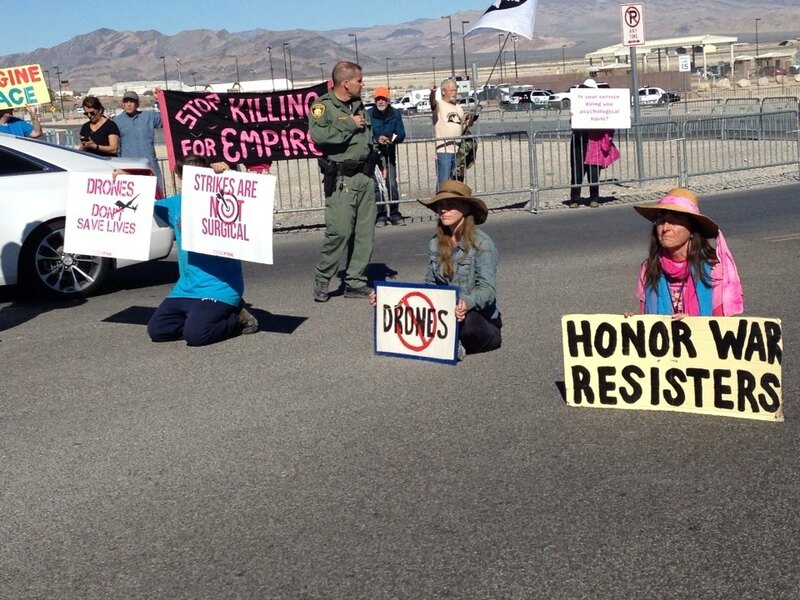 Blockades of the highway and base gates held up traffic for an hour or more at a time. 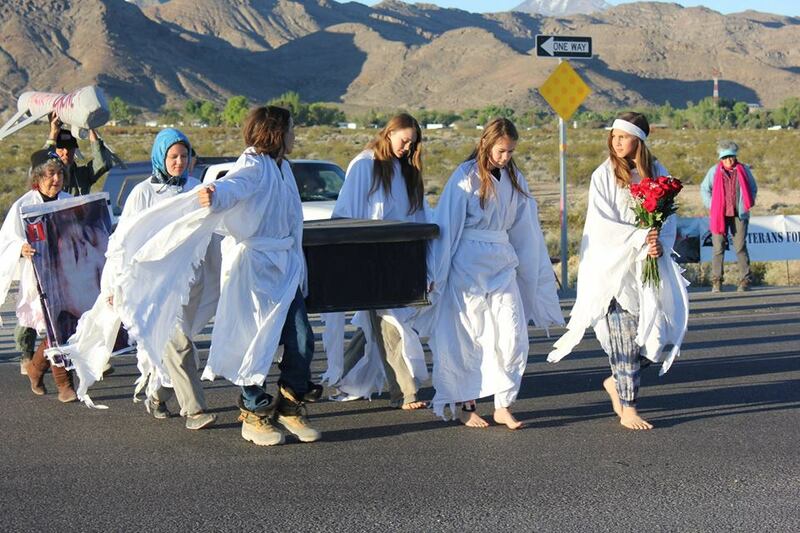 The day’s arrests, conducted by Las Vegas Metropolitan police, were the last waves of repression this week from Clark County, which has failed to investigate or stop the alleged extra-judicial assassinations conducted at Creech. 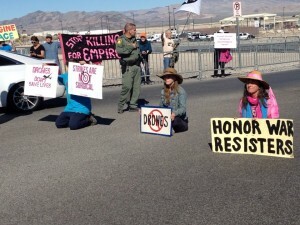 Fifteen of the justice and peace activists arrested on April 1 received citations for jaywalking, and three received citations for trespassing on federal property.